So you’re thinking about moving to Mexico City? Awesome! You’ll love it. At least I do. Mexico City is enormous. It’s crowded. It’s loud. It’s REALLY loud. It’s colorful and vibrant and has a constant buzz about it. Mexico City churns out some of the best food I’ve ever eaten in my entire life. 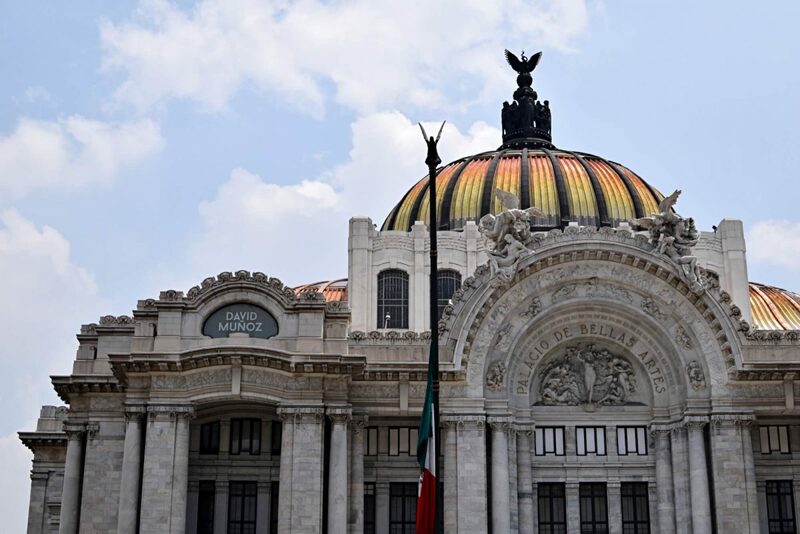 Moving to Mexico City is a great way to experience a new culture while still being able to sample other cultures. There’s a buzzing Korean population which means I can get my kimchi fix whenever I want. There are Uruguayan, Argentinian, Brazilian, Chinese, American, and Italian restaurants all over the city (although I’m still in search of a good pizza spot). Every time I stroll through Chapultepec park I hear different languages being spoken. I have friends from the UK, Mexico, the US and France, too! If you’re looking for a place full of life, character, excitement, and, did I mention the food? Then Mexico City is definitely the place for you. 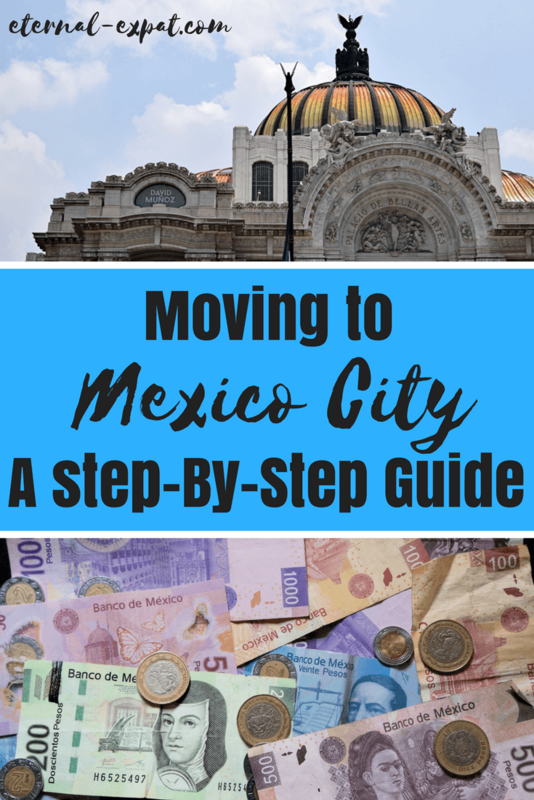 I’ve been living here for just over six months and I’ve decided to put together this post because it’s what I wish I’d found when I was researching moving to Mexico City. I hope it answers some of your questions, puts your nerves at ease, and serves as a resource for your planning. And don’t forget to drop me a line when you get here. If you plan on moving to Mexico to work (as opposed to being self-employed), this should be the first thing you do. I personally didn’t have to apply for a job thanks to this baby blog of mine (and a few other side projects). My boyfriend, however, applied for a job in Mexico City while we were still living in the UK and they helped sort out a visa AND a place to live. That’s not always the case, but with Mexico City being so big, it’s a good idea to solidify your job before locking yourself into a place to live. If you’re going to work in Santa Fe, you probably don’t want to live in Polanco. Otherwise, you’ll be sitting in traffic for most of your waking hours. Where you look for jobs depends almost entirely on what field you’re looking to work in. Finding a job in Mexico City isn’t much different than finding a job in any other city you’ve ever lived. You have to apply and interview and get the job. Then all the visa stuff comes afterward. If you want to teach English (or anything else) in Mexico City, there are tons of options. GoAbroad has a big selection of programs you can apply through. There are also several International Schools which you can apply to directly. Some well-known schools are Greengates, The American School, and the Wingate School. If your job isn’t helping sort out your visa, well, oh dear. While it’s not an arduous process to get a temporary residency visa, it does take a lot of trips to multiple visa offices. First of all, temporary residency visas must be applied for outside of Mexico. That’s why I put getting a job first on this list. Once you get a job, the company you work for will apply for your permit and then they’ll send you a certificate. You then have to take that certificate to your nearest Mexican Embassy or Consulate. It doesn’t necessarily have to be in the city you currently live in – a lot of friends have popped across to Miami or down to Costa Rica to apply for theirs. It only takes a few days to sort that part out. THEN you can come to Mexico. When you get to Mexico, you’ll have to take all the papers that they gave you and head to the immigration office here. You’ll need photos (two face-on, one side on). Make sure you take the photos wearing the same outfit. Luke had to get photos retaken because his side-on pictures were in a different t-shirt to his face-on photos! Then after even more waiting, you’ll eventually receive your temporary residency card. You’ll have to go back to the office and wait in line AGAIN to pick that up. Voila! On the other hand, if you are looking to live here and you are retired or you work for yourself, the process is a bit different. It’s worth mentioning (although this upsets some people), that many people live part time in Mexico on a tourist visa. Upon entry to the country you receive 180 days. When those 180 days are up, you simply leave the country and come back in when you wish, thus giving you another 180 days. Of course, if you plan to live here long term, this isn’t really ideal and there are whispers of the Mexican government trying to stamp this out (though I have friends who have lived here for YEARS this way and never have any problems). MexLaw answered a lot of my questions about Mexican immigration. They work specifically with Americans and Canadians looking to emigrate. The short answer is that you need to prove an income of $1,500 USD per month OR have a minimum of $24,000 USD per year of the visa in savings in order to qualify. These numbers change depending on who you ask and what country you come from. The cost of the visa is about $3,500 pesos (about $160 USD). Of course there are TONS more visa options. There are investment visas (starting a business here), there are visas to join family here, there are permanent residency visas. These are just the two I have experience with. If you have any questions your first port of call should be your local Mexican embassy or consulate. MexLaw can help with visas as well. For me, this is the funnest part of moving to a new place. There are so many choices! 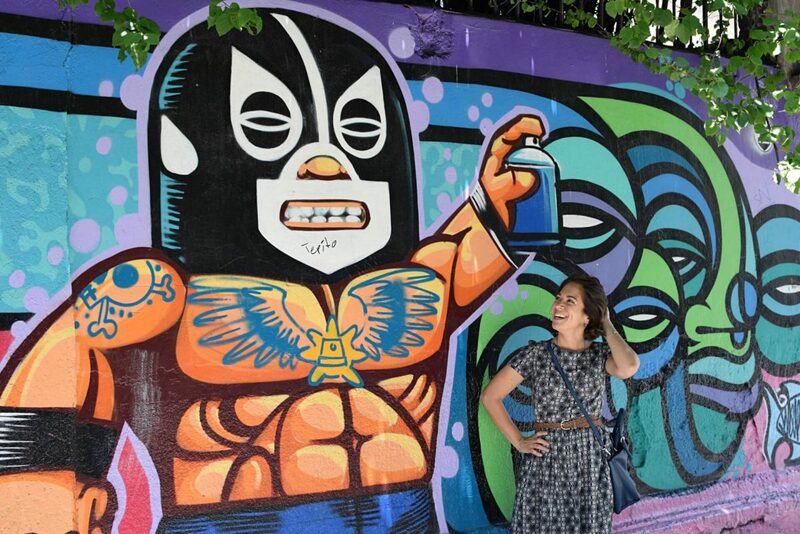 If you aren’t familiar with the neighborhoods in Mexico City, have a read of my post about the best neighborhoods to live. If you are moving by yourself or as a couple and are happy to share with another person, the best option price-wise is to look on the different Facebook groups where people post about empty rooms they’re trying to fill. It means you don’t have to buy furniture or kit out a kitchen. It also means you’ll meet people right away who know the neighborhood. People that I’ve met that are only staying in the city for a few months tend to use AirBnB. If you’re not already signed up, use this link to get $30 off your first stay. Besides using the Internet to find apartments, it is still very common for people to simply put a FOR RENT sign on their building and wait for renters to inquire by phone. Go for a walk through some of your favorite neighborhoods and see what you find. If your Spanish is good, this can be a great way to get a bargain apartment. Take it from someone who knows, your high school Spanish ain’t gonna cut it here. While many people in the city center speak English, the majority DON’T. Trying to get an apartment, a visa, pay your bills, open a bank account – it’ll all be in Spanish. Google Translate will only get you so far, trust me. A lot of expats I know actually work in English – whether it’s as a teacher in an international school, with an embassy, or in a corporate gig. So, speaking Spanish isn’t a must for your job, but it is for basically every other aspect of your life here. Plus, why move to a country that speaks another language and not bother learning it? I also recommend hitting up a few language exchange groups and learning from actual Mexicans. Find out how Mexicans talk so that you can learn some local vernacular. Making friends in any new city, whether it’s in your home country or not, is incredibly difficult. I find that the older I get, the harder it becomes to make lasting connections with people. That being said, Mexico City is full of expats and Mexican transplants who are open and interested in making friends. InterNations – this is a great place to find hobby groups like running groups, language exchanges, hiking groups, people who want to go to concerts etc. If you want full access you have to pay a small monthly fee. Meetup – Usually my go to, there aren’t tons of groups in Mexico. There is however, a really great language meetup. Couchsurfing – I haven’t gone to a Couchsurfing event myself, but a few girls I’ve met said it’s a fun way to meet people (especially if you’re single *wink wink*). If you don’t find a group that takes your fancy, make one! Or head over to the Facebook groups and simply ask if anyone knows of a group that does whatever you’re looking for. People are really friendly and helpful on there. What’s the Weather Like in Mexico City? I really wanted to know this before moving here, mostly so that I knew what to pack. The weather in Mexico City is glorious. It’s like having Spring year-round. From October through to March it’s warm during the day – anywhere from 65-80 degrees Fahrenheit (18-27C). In the evening the temperature can drop to about 50 degrees Fahrenheit (10C). It’s dry and hardly rains at all during these months. From April to July its pretty hot during the day. It doesn’t usually drop below 75 degrees Fahrenheit during the day and even when the sun sets it is still about 60 degrees. From July to the end of September it’s the rainy season. It’s warm in the morning and quite hot at midday, but around 3 or 4 o’clock almost every single day, it rains. It’s not just rain though, it’s lightening, thunder and ferocious downpours. It lasts for a few hours and when it’s done it’s about 10 degrees cooler. My favorite part about the weather in Mexico City is there is basically NO HUMIDITY. Even on the hottest days, it’s nothing like the oppressive humidity in Tulum or Cancun. Mexico City is at an altitude of 7,382ft (2,250m). It’ll take a few days to get used to the altitude (working out is a struggle even after 8 months. Maybe that’s not just the altitude though…), but it means the weather stays at this perfect even temperature almost all year long. This is all my wisdom about moving to and settling into Mexico City. If you have other questions please feel free to leave them in the comments or send me an email and I’ll do my best to answer them! Thanks for your comment, James! Mexico is a great place to base yourself. Feel free to get in touch if you have any questions!